With a 30% increase in enrollment over the past 5 years, the Fairview Public Schools are among New Jersey’s fastest growing districts. Supporting the technology needs of 1,500 K-8 students and 200 staff, the district’s administration has established a fast paced strategy to increase digital learning initiatives through 1:1 with Chromebooks as well as to explore network upgrades. A client since 2012, Digital Strategy Associates has partnered with the district to collaboratively explore innovative and budget friendly technology solutions to empower teachers and students. With only 1 full time member of the technology department but a growing roster of devices, we assist in keeping the district’s network operating smoothly for students and staff by managing several key systems. We provided both onsite and remote support during the PARCC assessment to monitor network performance and troubleshoot issues. Prior to test day, we conducted a PARCC Readiness audit at two testing locations and initiated the district’s PARCC Infrastructure trials. Additionally, we configured 500 Chromebooks to meet PARCC testing requirements. The district leverages our experience in IT and Network systems to provide specialized consulting when exploring new technology initiatives as well as in the formulation of the 3 year technology plan. 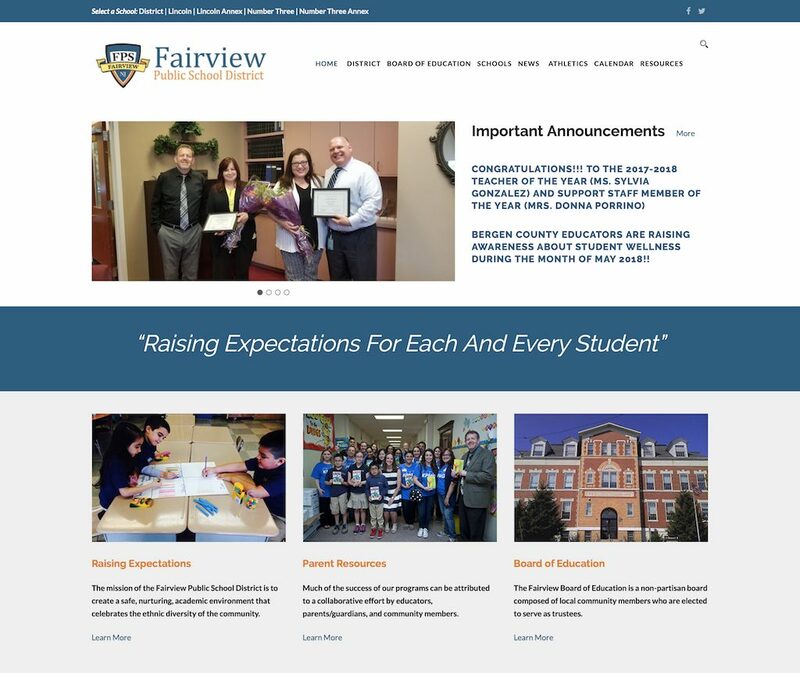 Digital Strategy Associates collaborated with district stakeholders to identify, develop, and implement a website design strategy that addresses their existing needs and future goals. The newly designed, responsive website, looks great across all devices and computers, including tablets and smartphones. With an easy to use content management system, district staff can post news and announcements.